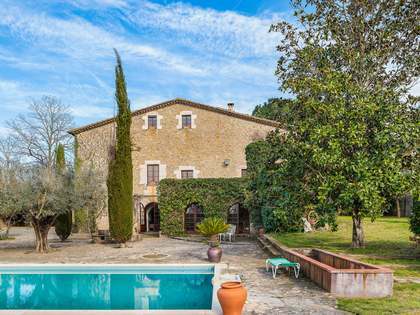 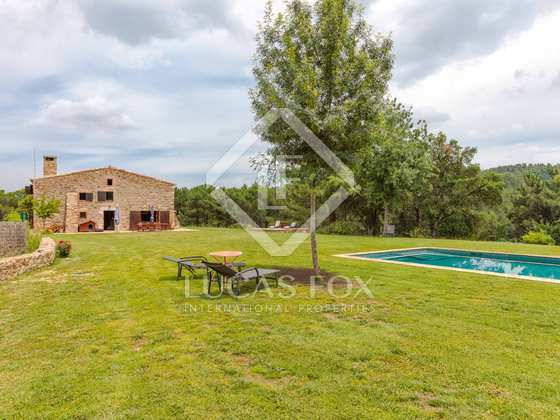 This beautiful country house stands on a 25 hectare plot in the heart of a national park close to Girona city; a stunning natural setting. 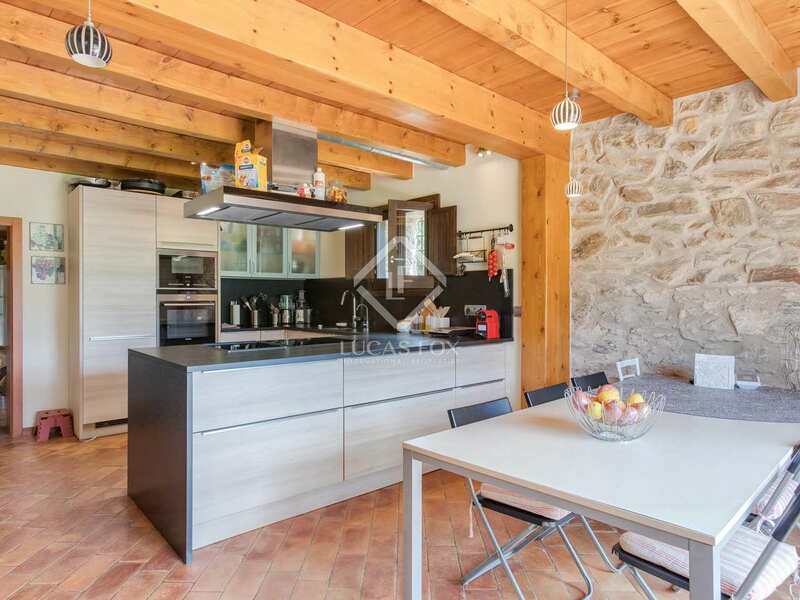 Despite its private location in the mountains, the centre of Girona can be reached in 20 minutes and there are a couple of restaurants just 2km from the property. 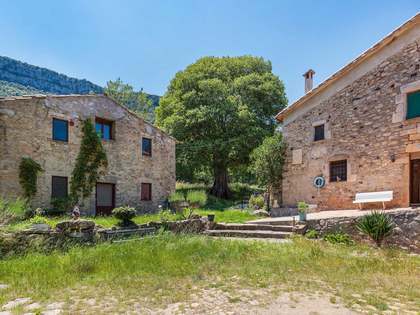 Furthermore, the beaches are a 50 minute drive away and the picturesque village of Madremanya is just 20 minutes away by car. 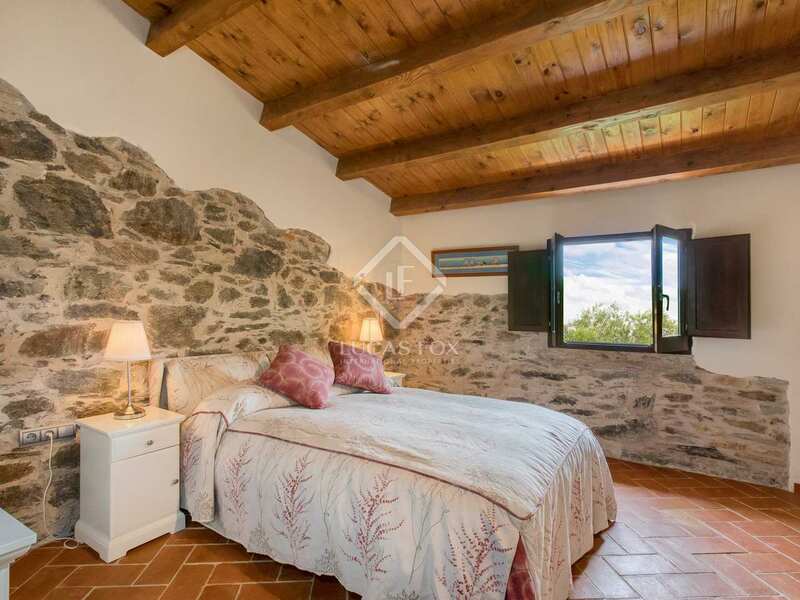 Dating back to the 19th century, this stone cottage was fully renovated in 2012 and is presented in excellent condition. 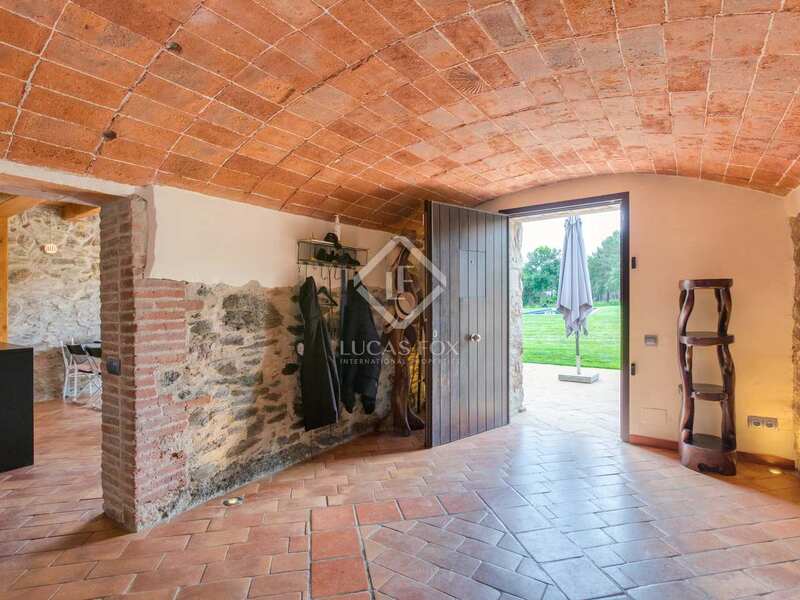 We are welcomed into the property by a vaulted entrance hall with a kitchen-diner to the right with glass doors leading onto the terrace, perfect for dining outdoors. 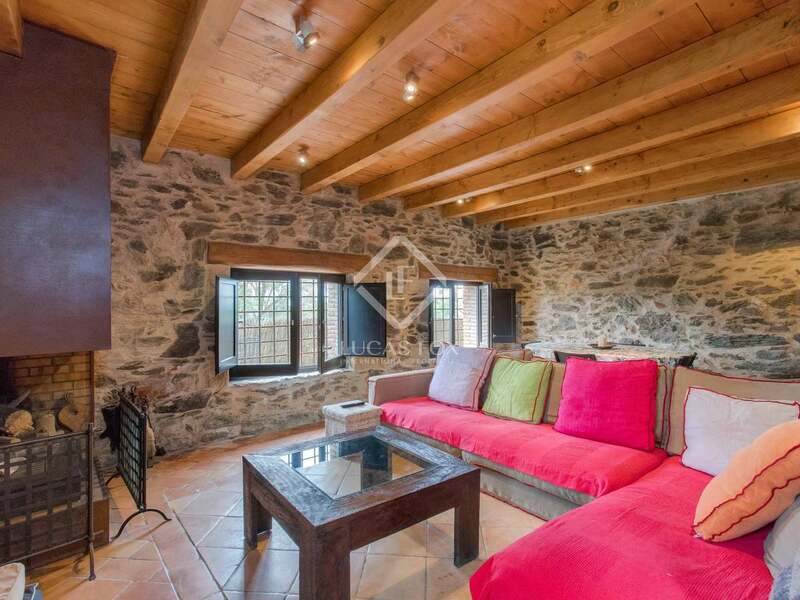 To the left of the entrance hall there is a living area with a fireplace and exposed wooden ceiling beams. 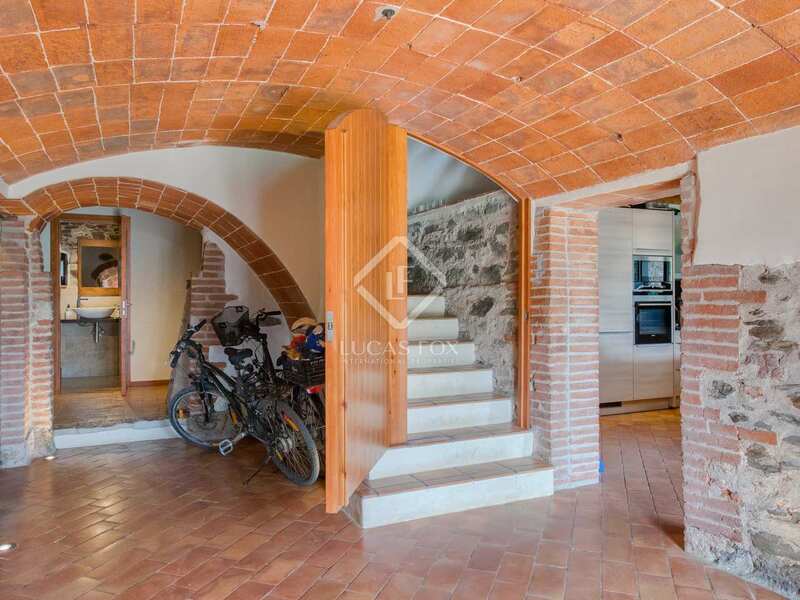 Also on the ground floor there is a bedroom and bathroom plus a pantry and machinery room. 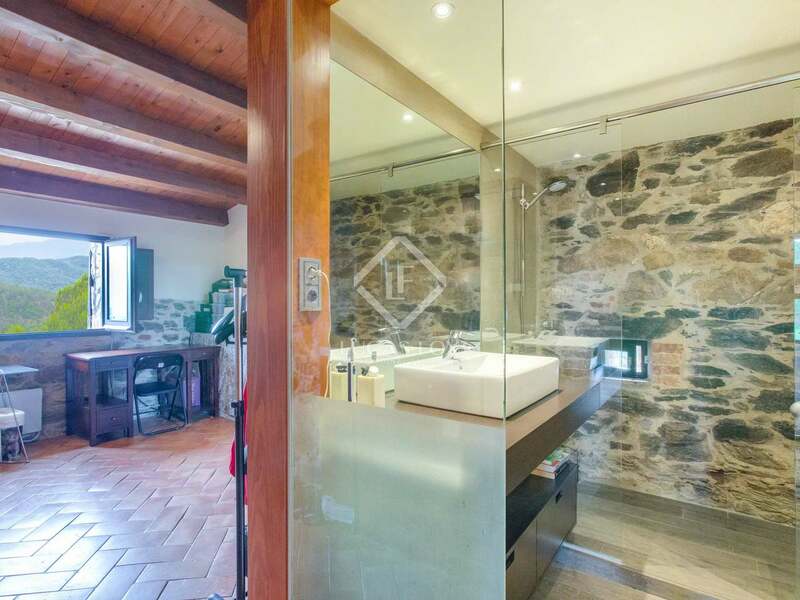 A staircase leads up to the first floor where we find a large central landing that leads off to 3 bedrooms, a large family bathroom and the beautiful master suite with en-suite bathroom and dressing area. 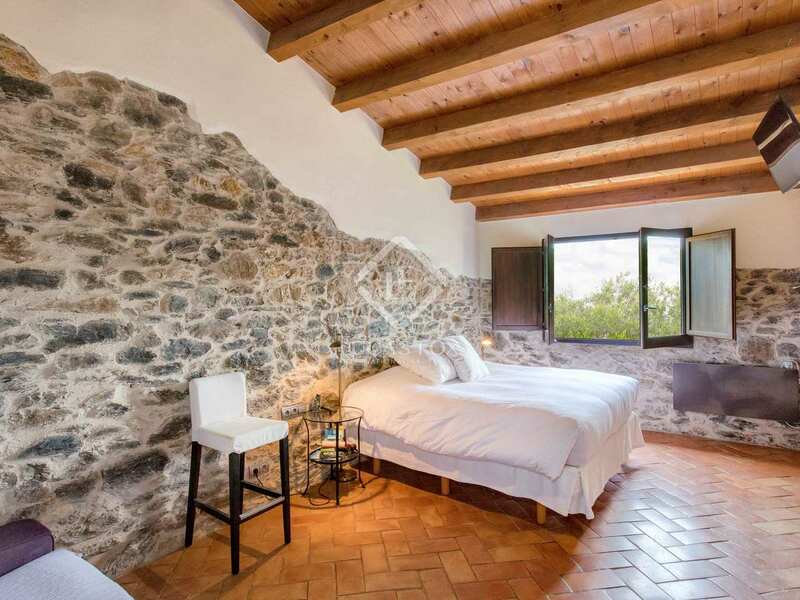 All the bedrooms offer stunning views of the surrounding nature. 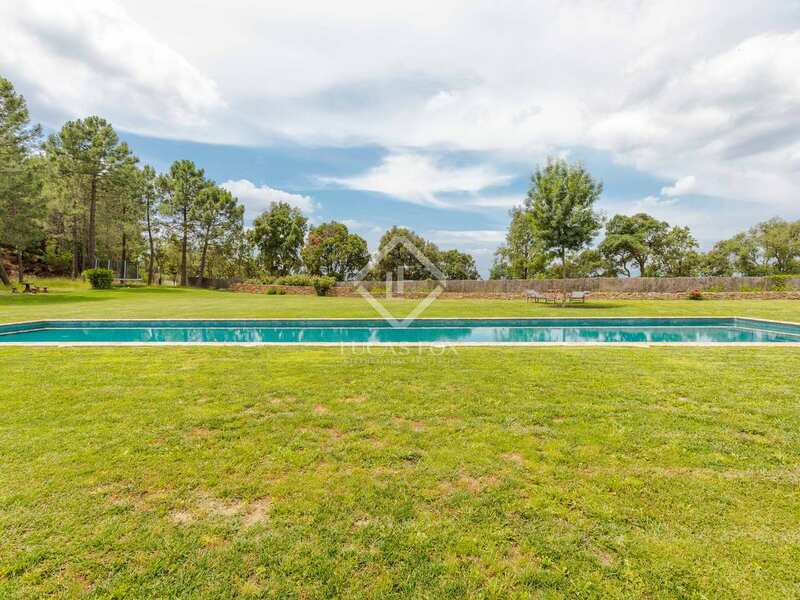 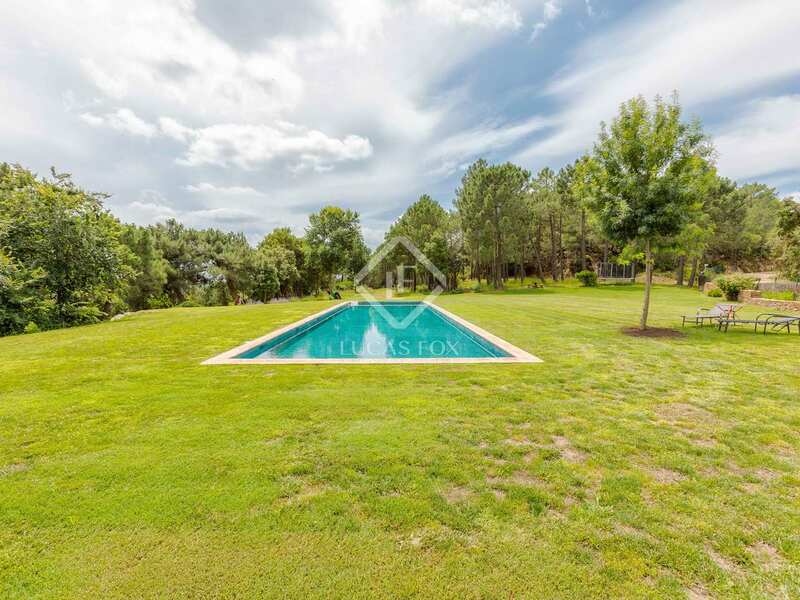 The large plot includes a beautiful lawn area with a 25m x 6m salt water swimming pool as the main feature. 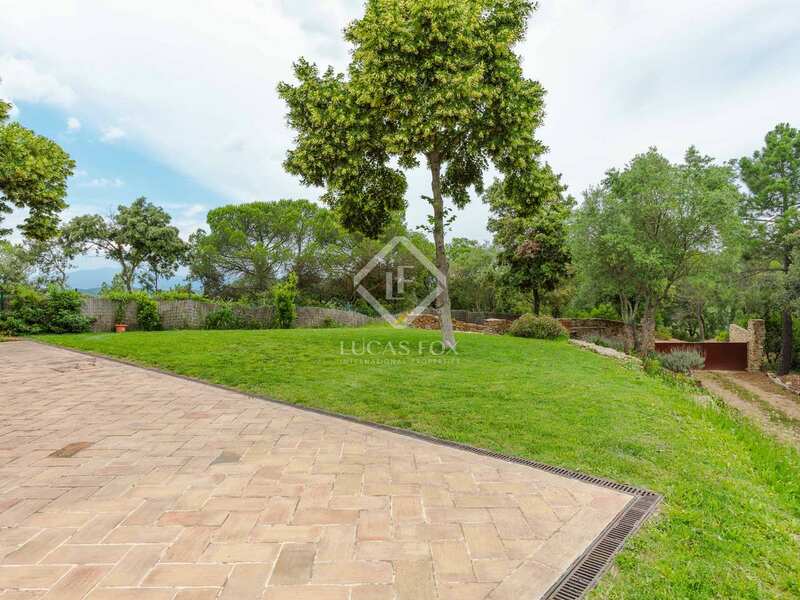 The entire garden is surrounded by fences and there is automatic irrigation in place as well as outdoor lighting. 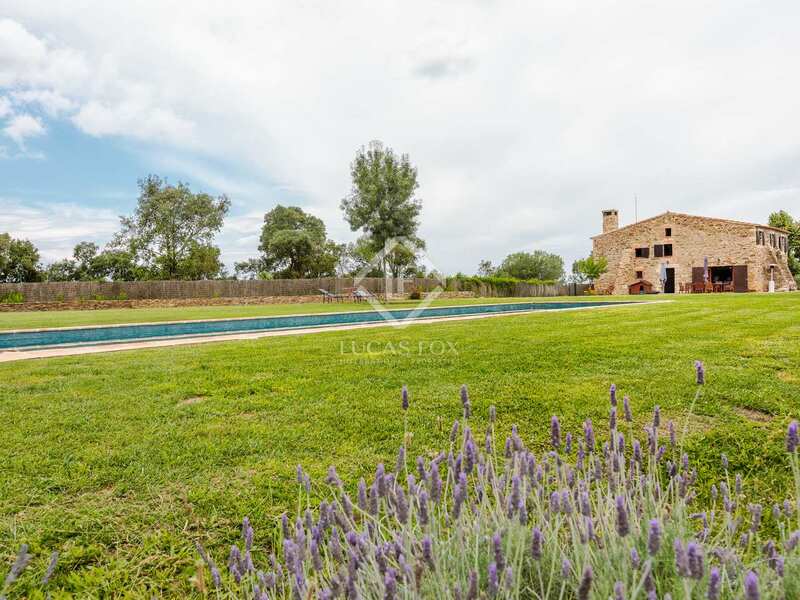 There are 2 wells providing an abundant water supply of 2600 litres per hour. 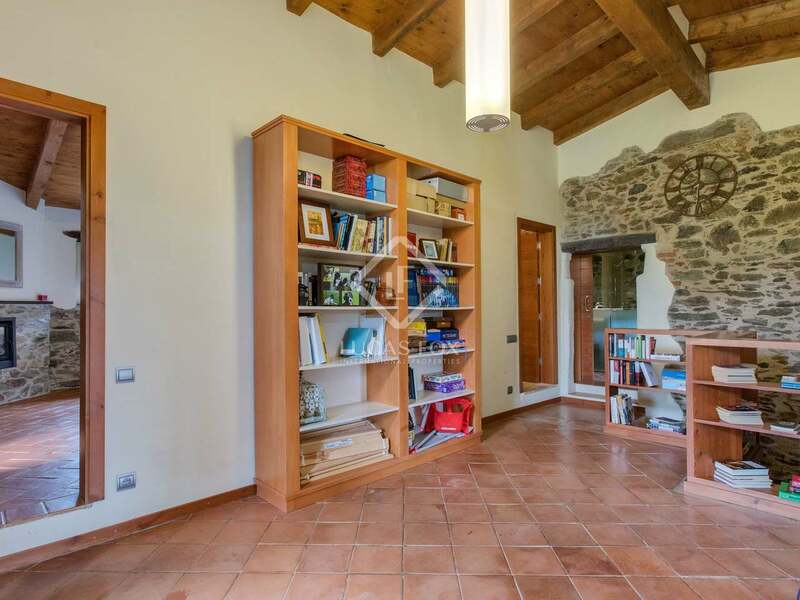 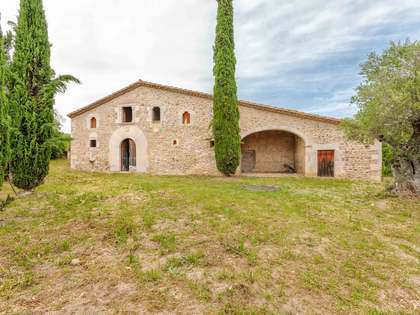 This property would make an ideal primary residence in the countryside or a retreat to spend relaxing holidays and weekends. 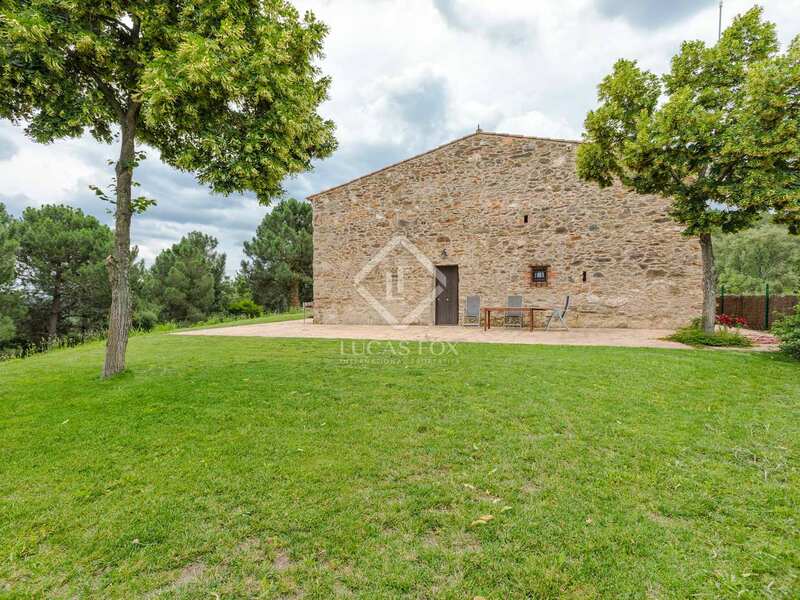 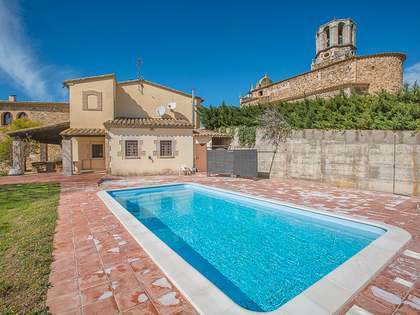 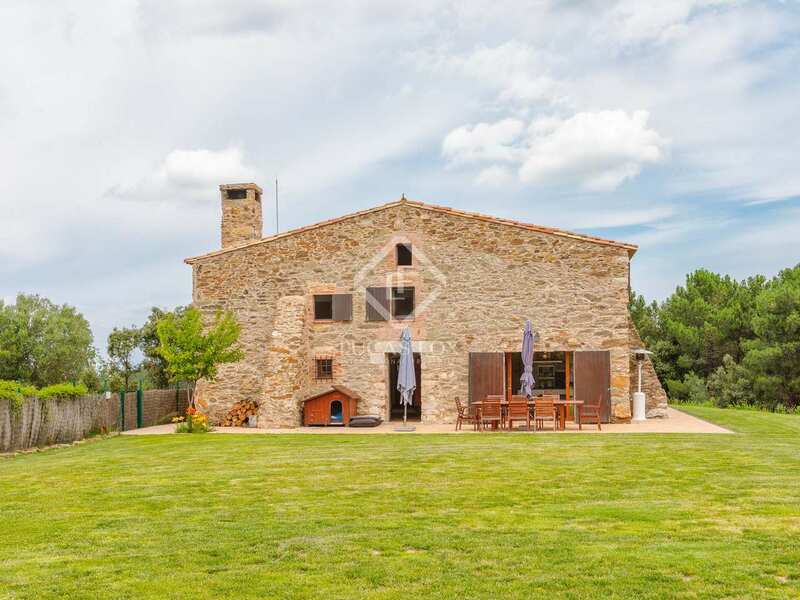 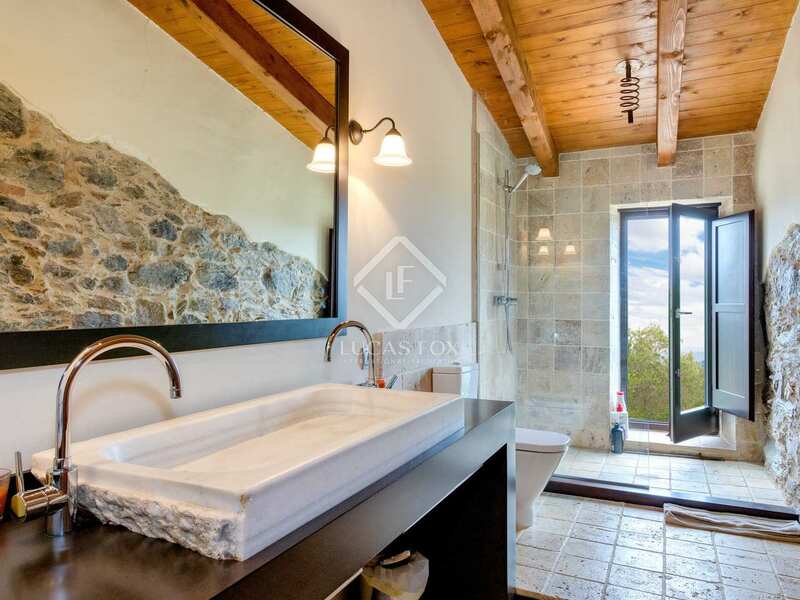 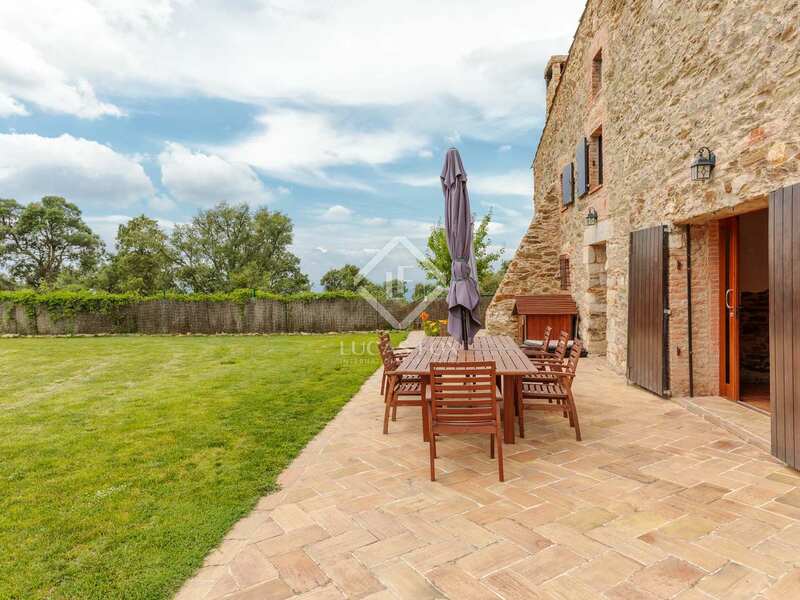 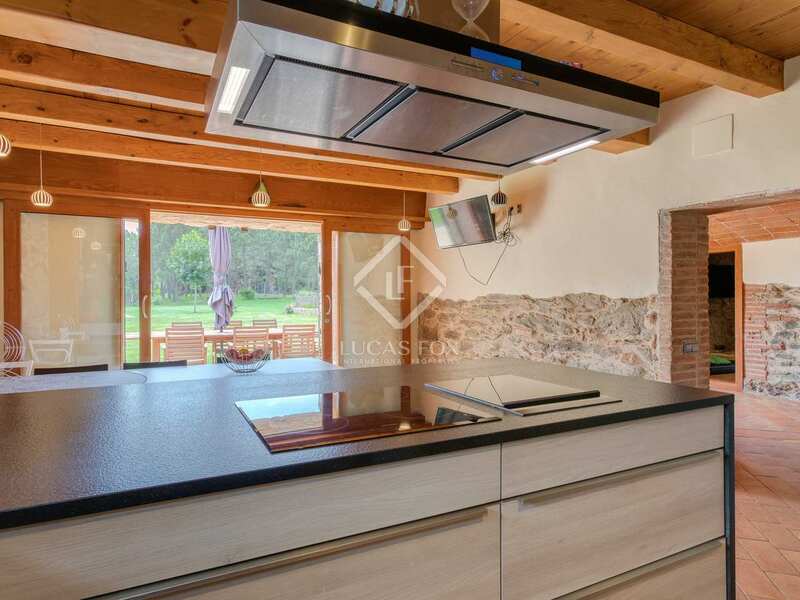 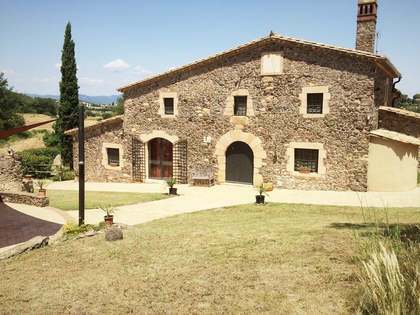 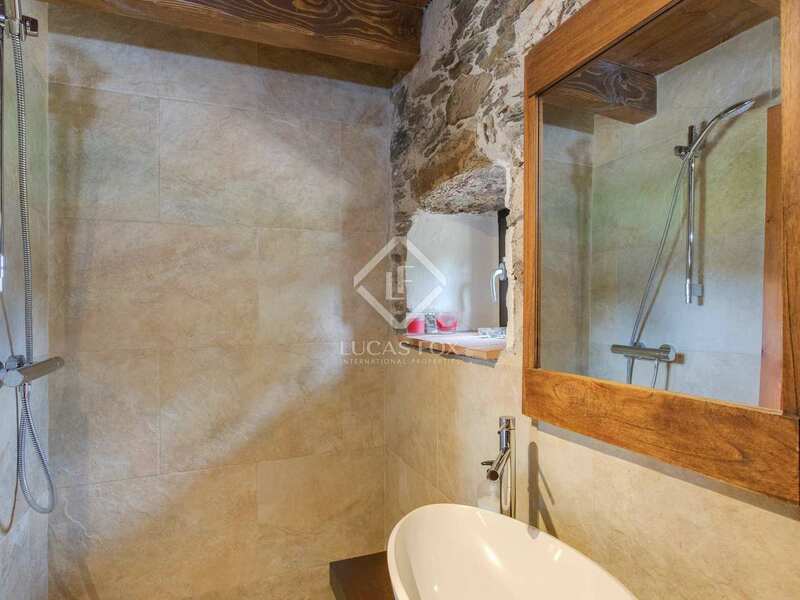 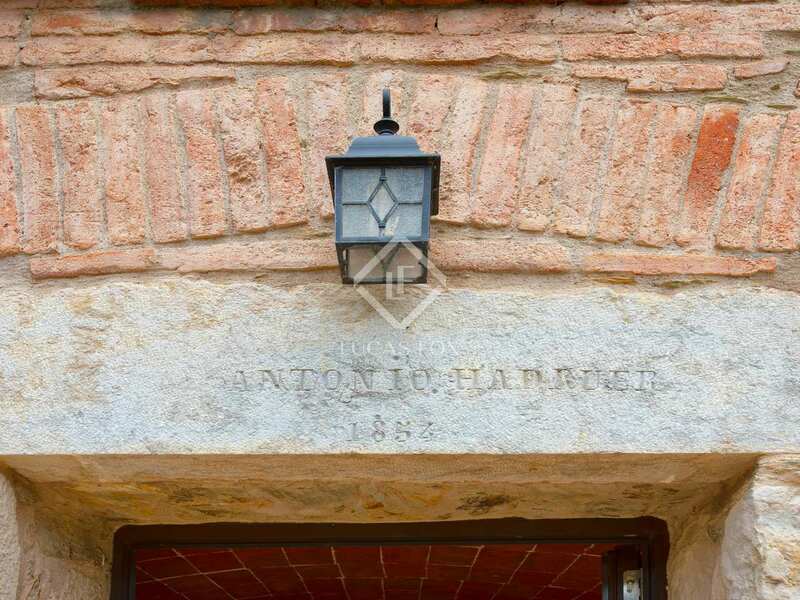 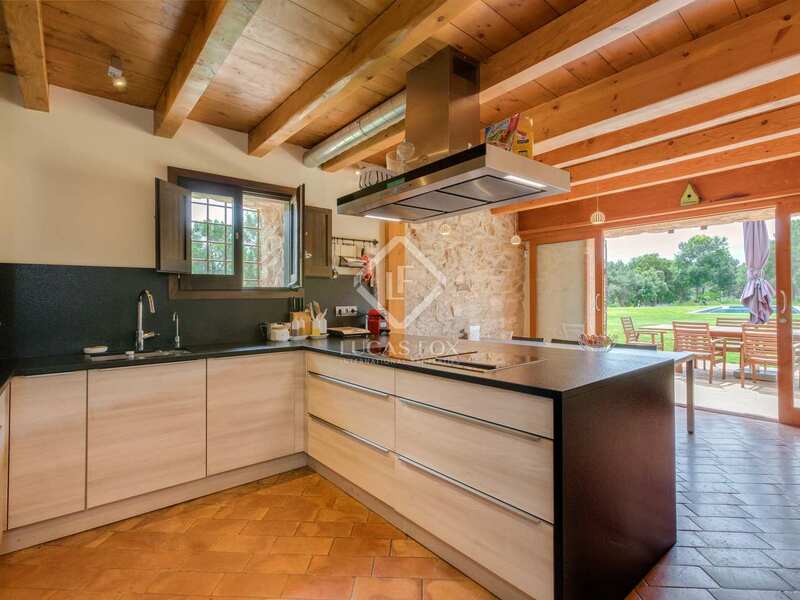 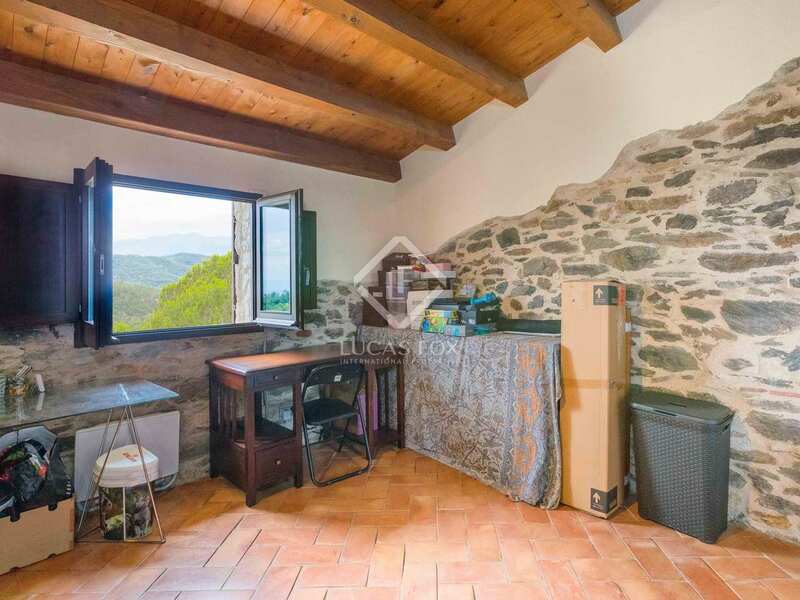 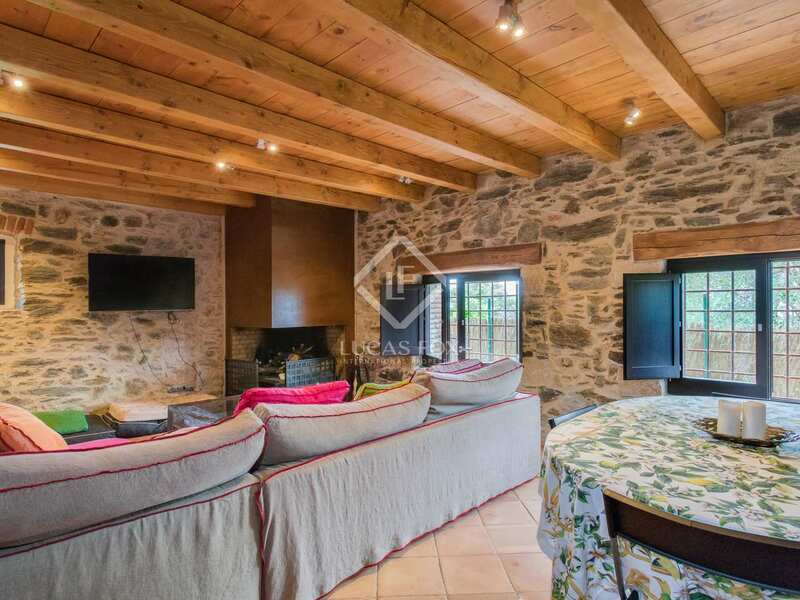 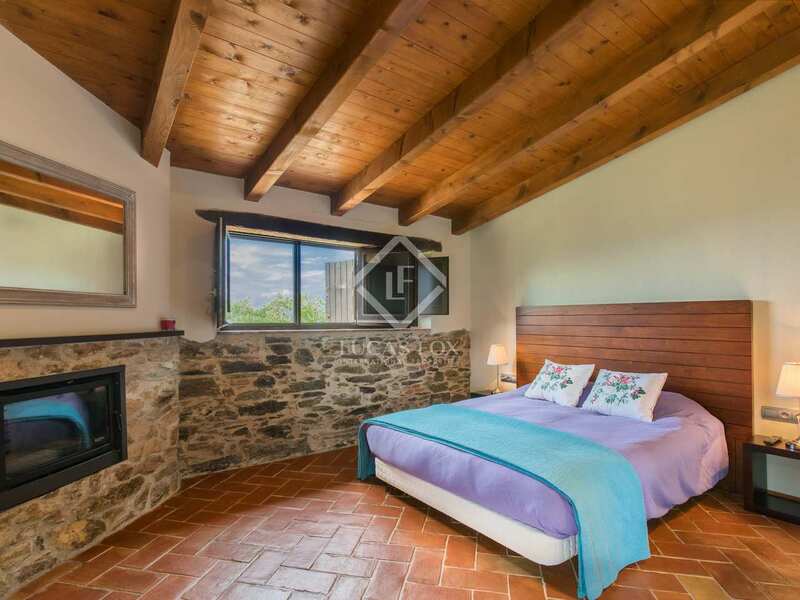 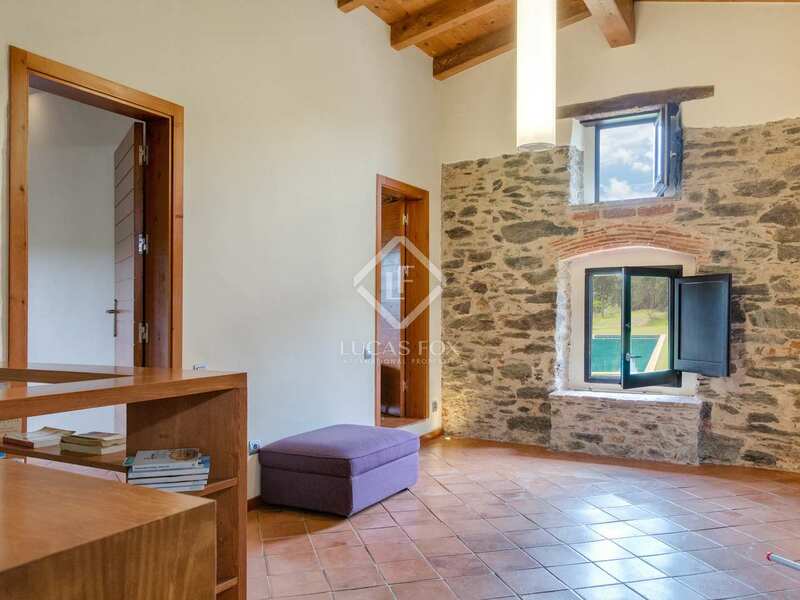 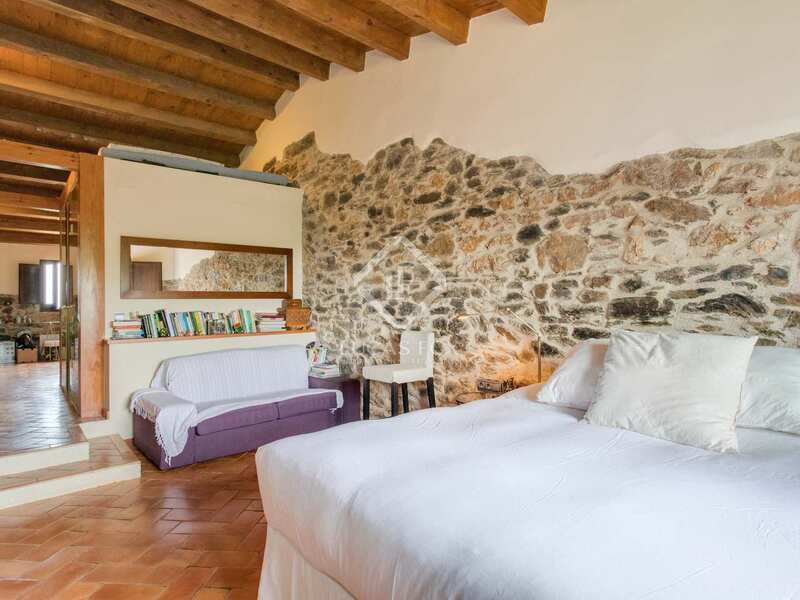 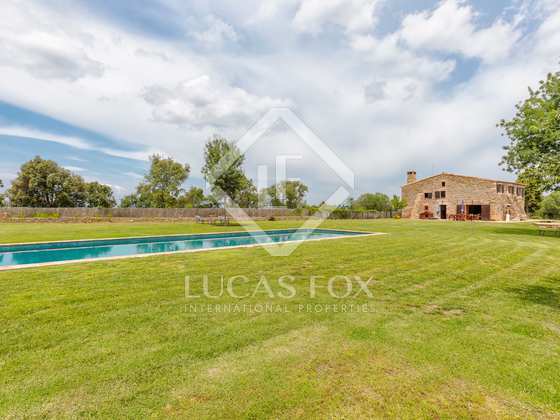 This property is in the middle of a national park 20 minutes by car from the centre of Girona. 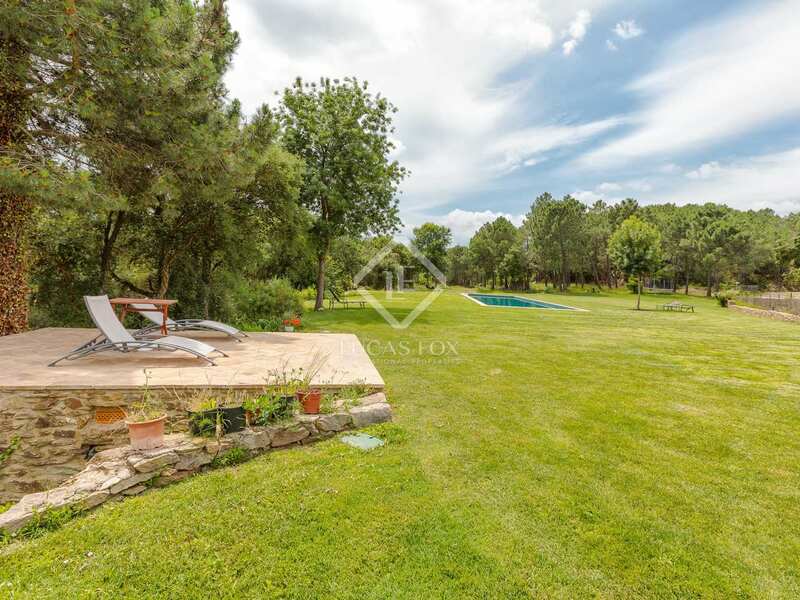 The mountainside location offers total peace and privacy yet there are a couple of restaurants within 2km of the property and the picturesque village of Madremanya can be reached by car in 20 minutes. 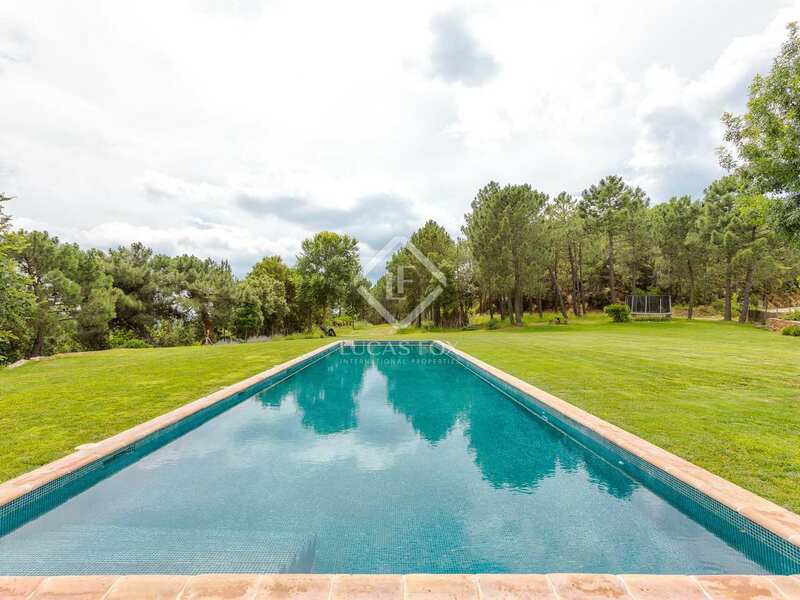 The beautiful beaches of the Costa Brava are a 50 minute drive away.